It has been said that the face is a gateway to the soul. Your smile is often the first thing people notice upon meeting you. Whether it be going on a date, a job interview, or even just day to day interactions, having a good looking smile can be very important in not only looking better, but feeling better about yourself as well. Traditional dentistry focuses on oral hygiene and the prevention, diagnosis, and treatment of oral disease. Cosmetic dentistry on the other hand, fixates on improving the appearance of the teeth, mouth, and smile. In a matter of speaking, restorative, or traditional dentistry addresses problems requiring dental treatment, whereas cosmetic dentistry provides elective treatments and services. Though it may considered elective treatment, that doesn’t make cosmetic dentistry any less important. Cosmetic treatments can provide restorative benefits. Even the most common traditional dental procedures like dental fillings walk the line between being restorative and cosmetic dentistry. In the past, most dental fillings were composed of gold, steel, or amalgam. These materials created the appearance of dark spots on the teeth. Dental fillings today can be considered a cosmetic treatment with the option of selecting a filling made of porcelain, or composite materials that match more closely to the color of your teeth. A common cosmetic dental treatment is the replacement of these older fillings with new style tooth colored fillings. Finding a dentist that works for you can be a tough undertaking. Though probably not as invasive as surgery and other medical treatments, dental work can still be a stressful endeavor and is a huge source of common anxiety among most people. Even cosmetic elective dental work can involve the augmentation and changing of parts of your body, so it is very important that you find a qualified practitioner you can comfortably rely on. Dr. Andres de Cardenas is one of Miami’s top dentists, even being voted as the “Top Dentist in Miami” by Miami Metro Magazine. Having the knowledge and experience to create a customized and innovative solution personalized to any dental problem, Dr. de Cardenas puts his patients first. The best cosmetic dentist in Kendall, Dr. de Cardenas, and his team provide the full gamut of general, cosmetic, implant, and emergency dental solutions to help your teeth look always look their best. Dr. de Cardenas provides a comfortable a caring environment, offering treatment to adults and children all over Florida, and having the experience and training to fully understand his patients’ individual needs on a case by case basis. He, along with his staff, not only offer treatments but also helps you to understand the treatment options that are available to you and formulating a carefully crafted plan that will fit your individual situation. Having not only a professional, but also an understanding practitioner cannot be overlooked when seeking out the best cosmetic dentist in Kendall. 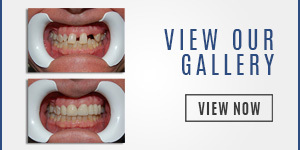 Smile enhancement can have a dramatic effect on your overall appearance. Even the smallest of modifications or treatments can boost self-confidence, self-esteem, and make you want to smile more! Technological advancements in the field of cosmetic dentistry have made cosmetic dental treatments more reliable and predictable. With more natural looking, tooth colored dental materials available and dentists using more conservative techniques, the use of cosmetic dentistry can have your smile looking more natural and better than ever. Offering a range of treatments from inlay and on lay fillings, composite bonding, teeth whitening services, dental veneers, dental veneers, dental implants, makeovers, and mouth reconstructions, the best cosmetic dentist in Kendall Dr. de Cardenas provides a plethora of solutions to have you looking your best in no time. A great smile can improve your self-confidence; leading to a positive impact on the social and professional aspects of your life. Cosmetic dentistry is not purely about a pretty smiling façade however. With the new techniques and innovations in technology, you can have your molars looking in tip top shape as well! Now, you can have your entire mouth healthy, looking great, and functioning better all at the same time. 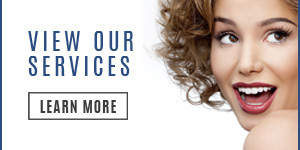 Dr. de Cardenas will work with you in choosing the best look possible for your individual needs. Smile enhancements can be made to look dramatic, while retaining a natural look. Using photographs and models to show you what to expect after your procedure, and sometimes, even trial materials can be placed directly on your teeth to help you to visualize and understand the changes to your smile. 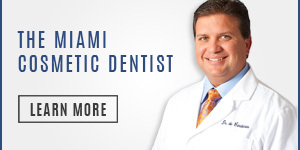 As the best cosmetic dentist in Kendall, Dr. Andres de Cardenas and his team will put your needs at the forefront of any procedure and planning for your future look, all the while making sure you are educated and understanding of any processes needed to help you achieve the smile of your dreams. You cannot underestimate the value that comes with having a caring and experienced practitioner to help guide and educate you through the process of cosmetic dental improvement, and put not only your look but your comfortability at the forefront of your cosmetic dental procedure. Cosmetic dentistry offers many options for people who are unhappy with the appearance of their smile. If you’re one of these people, we encourage you to seek out the best cosmetic dentist in Kendall today and call Dr. Andres de Cardenas today at 305-251-3334!